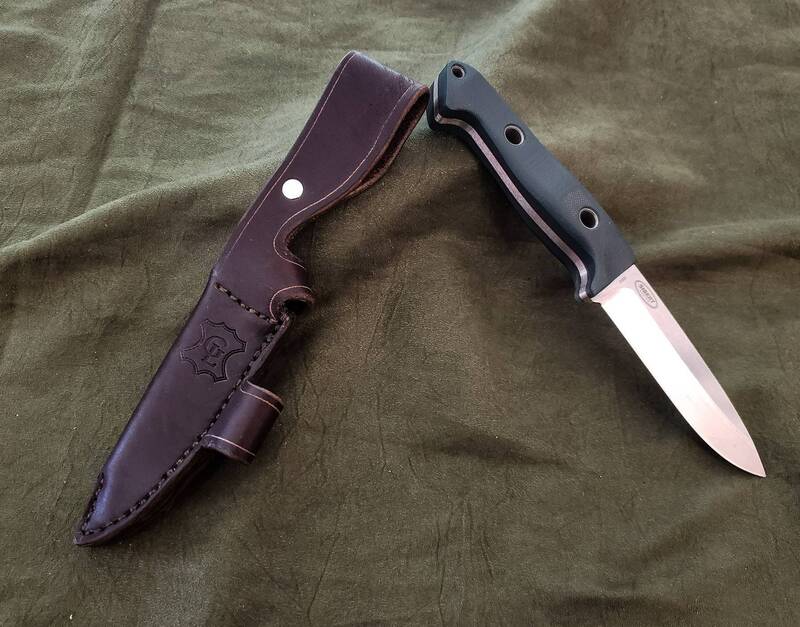 This is a handmade leather sheath for the Benchmade bushcrafter. 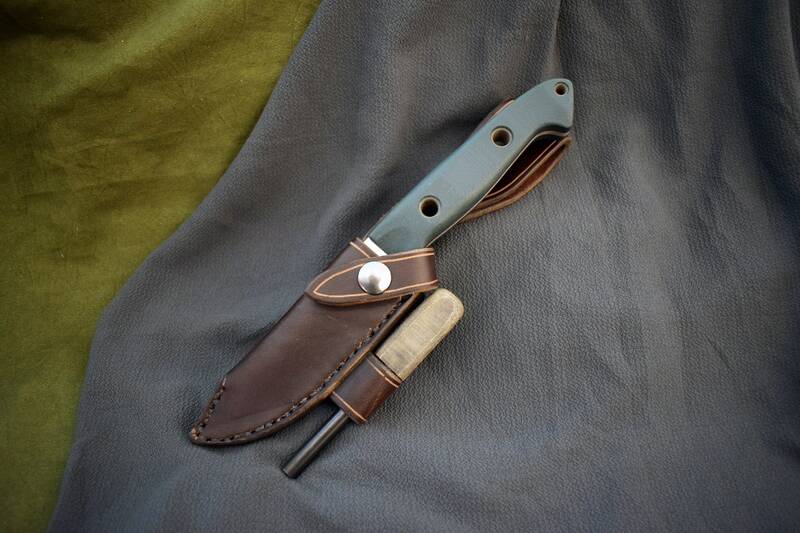 It differs from my other bushcrafter sheaths in that it is a simple vertical belt sheath, with no dangler or lanyard hole which many bushcraft style sheaths include. 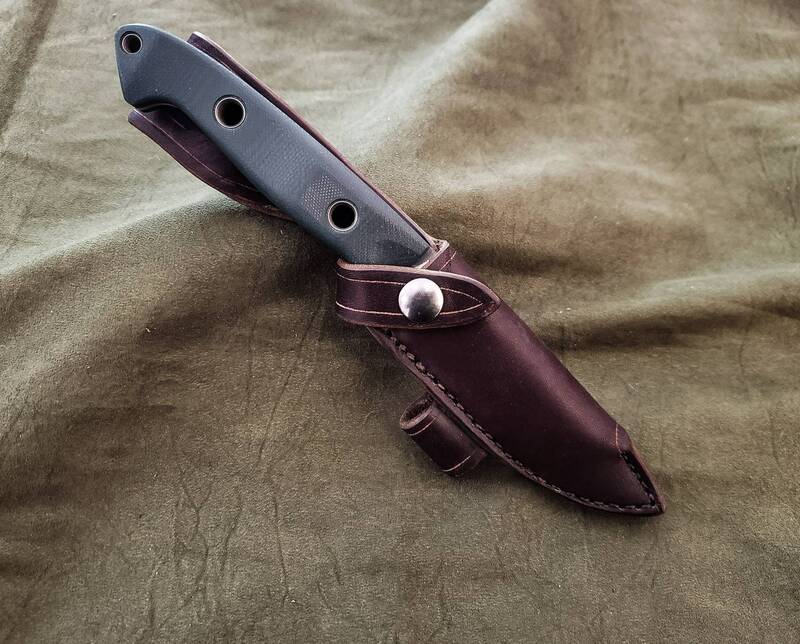 You do have the option of adding a loop for a firesteel, please specify whether you'd like one when you pick which side your sheath will be carried on. 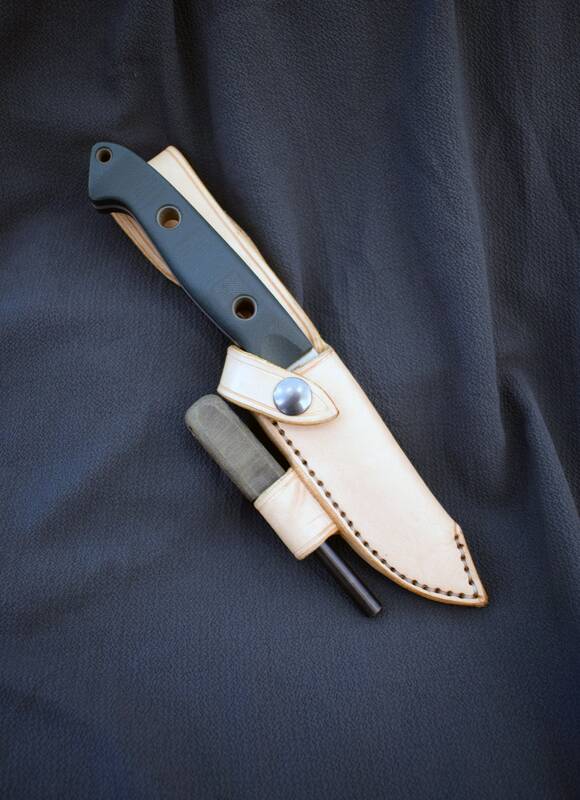 Each sheath is handmade of 8-10 ounce latigo cowhide, unless the natural color is chosen, in which case 8-10 ounce vegetable tanned cowhide will be used. 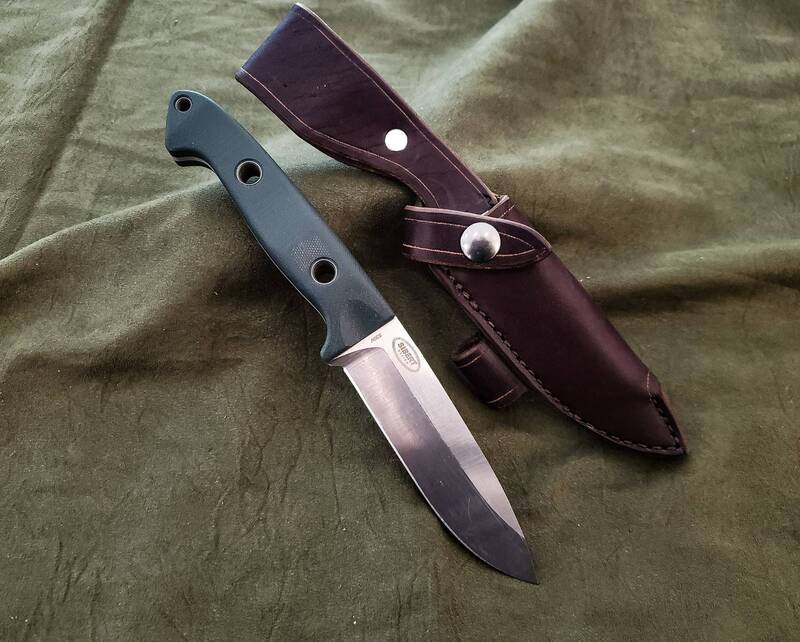 As always customization is available, message me for details. Shipped on time and great customer service!